All roads will this Sunday lead to Pastor Bugembe's Light The World Church in Nansana where a special service has been organized to pray for Moze Radio who is still admitted at Case Hospital. 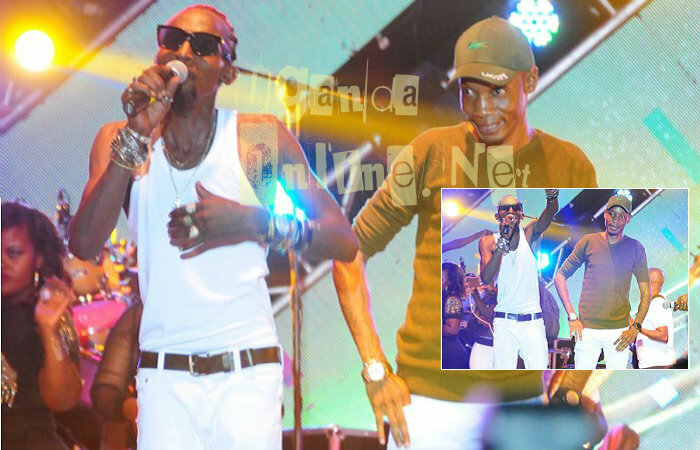 It will take place on Sunday and fellow artists like Chameleone and of course his partner, Weasel, Spice Diana with whom they did the last song among others will attend. Socialite Bryan White, who contributed Shs 25Million towards the singer's medical expenses is also expected to attend. The singer had another operation to clear the congestion in the throat, but according to promoter Balaam Barugahare, he can now open one eye and he is trying to open the other after being taken off life support machines. He can also recognize a few people, though, visitors are at this time still not allowed. His baby mama, Lillian Mbabazi and the Mzungu girlfriend are taking good care of him. Unconfirmed sources add that foreign artists like WizKid and PJ Powers could also attend the Sunday prayers. Meanwhile, fans are worried that while he is making very good progress on the road to recovery, it might take a bit of time for him to release more music.